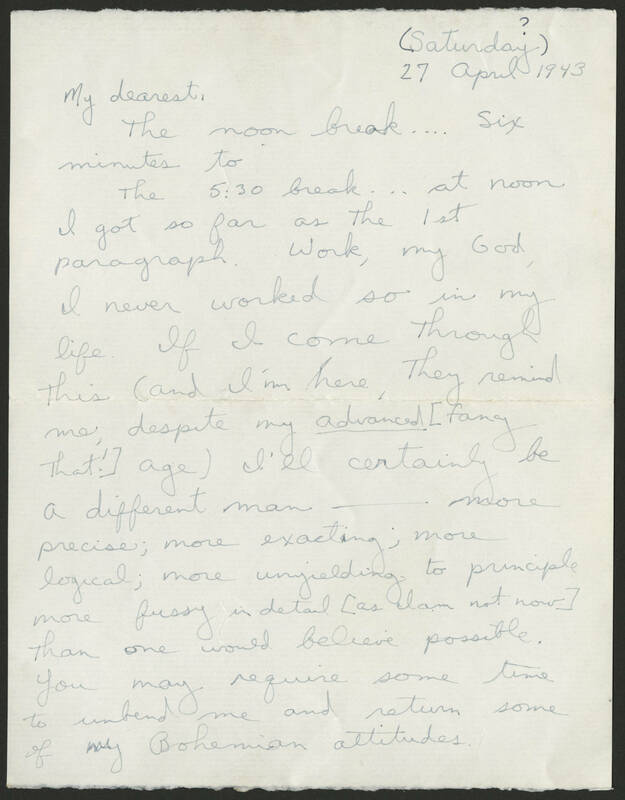 Saturday 27 April 1943 My dearest, The noon break....six minutes to The 5:30 break...at noon. I got so far as the 1st paragraph. Work, my God, I never worked so in my life. If I come through this (and I'm here, they remind me, despite my advanced [fancy that!] age) I'll certainly be a different man----more precise, more exacting, more logical, more unyielding to principle, more fussy in detail [as I am not now] than one would believe possible. You may require some time to unbend me and return some of my Bohemian attitudes.